Is the cold weather effecting other cheese makers. 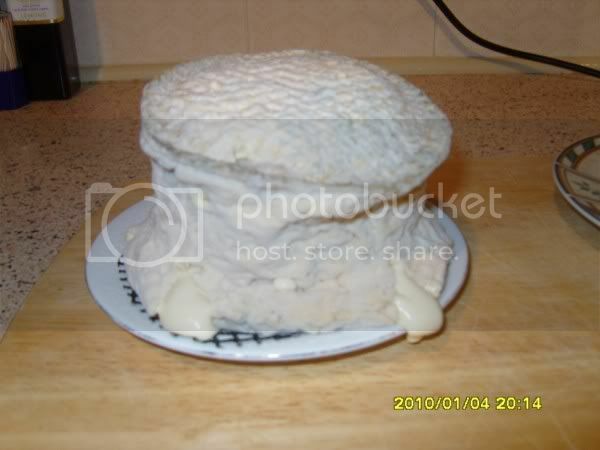 Look what happened to my blue stilton. It was getting on fine (4 weeks) until last night when my utility room went well below freezing. I’m going to eat it anyway.